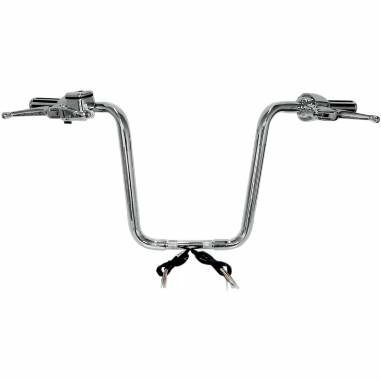 Save time and money by getting bars, hand controls, switches and grips prewired and preassembled ready-to-mount 11/4" wedged smooth handlebars made of heavy-duty .120 thick wall tubing Mounting area is stepped down to 1" diameter and knurled to accommodate most risers (31/2" on-center knurling). If you have any questions about this product by Paughco, contact us by completing and submitting the form below. If you are looking for a specif part number, please include it with your message.